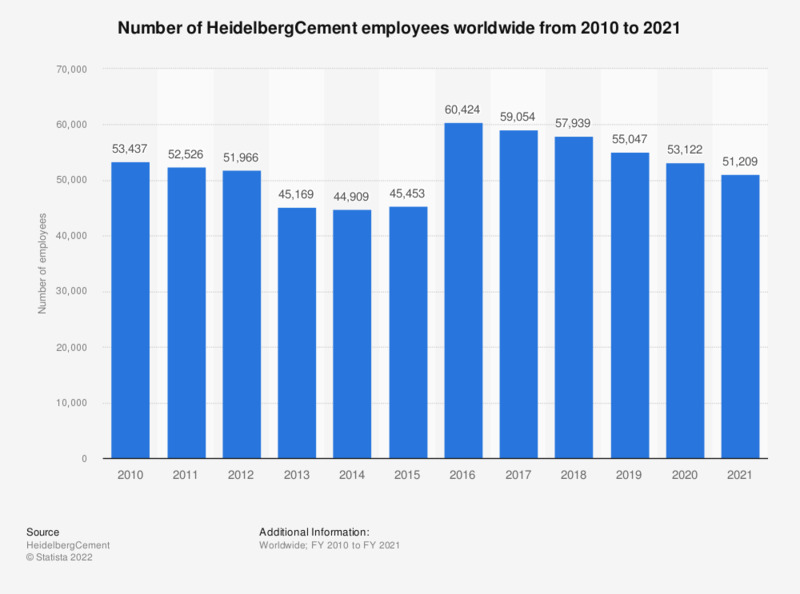 This statistic represents the global number of HeidelbergCement employees between the fiscal year of 2007 and the fiscal year of 2017. In the fiscal year of 2017, the German multinational building materials company employed 59,054 people worldwide. The figures for 2007 -2010 are taken from previous annual reports.